I needed light and blue sky to cheer me up today and got none of them... So I decided to work with the Copper Blues stack by DCWV to have both ! 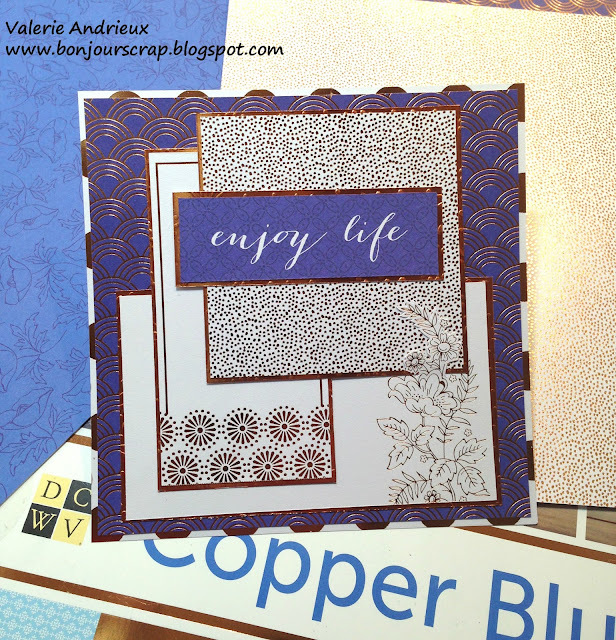 The shiny copper and the deep blue are perfect to reverse the rainy mood coming up ! Glue squares dispenser were handy to adhere everything, even the small parts with the mini glue dots. You've got my signature on it... seek for the fussy cutting... Can you spot it ? Have a great day, rain or shine, cold or hot, wherever you are !